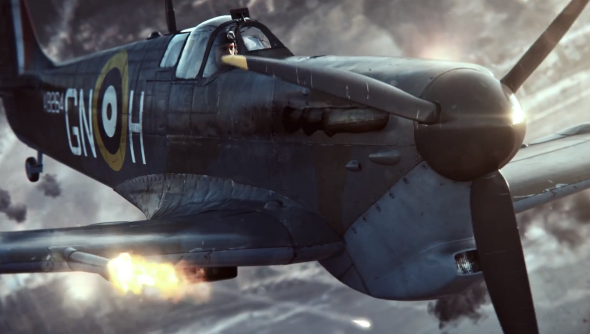 War Thunder has screamed its way across the internet over the past year. In its first twelve months of open beta, the aerial dogfighting game has gathered 5 million players, with more coming in every day thanks to its debut on PS4. That makes it one of the most successful flight sims of the past decade, seizing a massive victory in a field believed to be the domain of just a few plane anoraks in this shooter-obsessed age. Gaijin Entertainment’s CEO Anton Yudinstev has been speaking out on War Thunder’s triumphs, noting that in the battle between free-to-play and traditional paid-for games, his side is not the greedy one. Talking to GamesIndustry.biz, Yudinstev explained that Gaijin, despite having developed console titles such as II-2 Sturmovik, is a small team that had problems at the start of War Thunder. “We’re a relatively small studio – we have around 100 people – and for us the biggest challenge isn’t to maintain the game after launch. We actually like that. We can enhance it, and improve it. That’s good for us. I’m not sure it’s good for big, major studios, but we can be very flexible. War Thunder was a launch title for the PlayStation 4. Unlike the PC, the console territory is unfamiliar with free-to-play games, perhaps even a little frightened of them. With hate for microtransactions burning an ever-bright flame on Twitter and forums, Games Industry posed Yudinstev an interesting situation: In a world where Call of Duty takes $1 billion in less than a week, it’s the studio trying to give a good game away for nothing that is called upon to explain its methods. “We’re not the greedy bastards here,” replies Yudinstev.